Lupe Fiasco ends his troubled relationship with Atlantic Records with a thrillingly ambitious sendoff. If there is a title of "The Houdini of Hip-Hop", Lupe Fiasco would be the candidate most likely to claim it. Few other contemporary artists seem to relish trapping themselves artistically, only to find a way to break free in thrilling fashion. For example, Wasalu Muhammad Jaco laid out some of the most biting criticisms of commercialism in hip-hop with Lupe Fiasco's Food & Liquor and Lupe Fiasco's the Cool, only to succumb to a withering critical (and fan) backlash from his own flirtation with commercial mainstream with 2011's Lasers. However, during that time, he also made headlines by making some of the most radical political statements in his career. The second trapping came when one of the most vocal critics of hip-hop cliches indulged in one of his own by releasing a sequel to a previous artistic triumph (Food & Liquor II). Two years later after that sequel, Lupe Fiasco found himself in a similar situation that plagued Lasers: Atlantic Records was sitting on his record. This time, Fiasco had a little more muscle in terms of support. In 2010, fans organized a petition to get Atlantic to release Lasers. Last year, it was the hacker group Anonymous who threatened to attack Atlantic's website unless the company released his next album. The company announced a release date the next day. With relatively little promotion behind it, Tetsuo & Youth arrives a month after it could have been eligible to be on music critics "best of 2014" list. On the surface, it certainly looks to have all the trappings of an album dropped in the dead of winter: Not only did the studio delay its release, but Tetsuo & Youth was also Lupe Fiasco's final album with Atlantic. But instead of a bitter, tossed-off contractual fulfillment, Tetsuo & Youth is a thrillingly dense "statement" album, complete with musical interludes, lengthy tracks (four tracks go over the six-minute mark), and compelling character sketches. To find the best comparison to what Lupe Fiasco attempts on Tetsuo & Youth, one would better served going to the jazz section of a record store instead of the rock or hip-hop section. 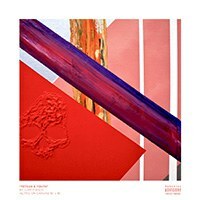 From its abstract cover art, reminiscent of albums by Weather Report to its references to the seasons, Tetsuo & Youth finds Lupe Fiasco returning to the ambitious abandon that defined his first two albums. After a quiet, string-heavy instrumental (one of four on the album, each representing a different season), the nearly nine-minute "Mural" kicks off Tetsuo & Youth with an unrelenting piano riff. The dizzying track does nothing less than weave in the smells of hot dog and deer piss, an X-Men call out (Gambit) and a "Bohemian Rhapsody" reference. As an introductory track, "Mural" seems to lead Tetsuo & Youth down into a almost a King Crimson-like level of progressive complexity. However, "Blur My Hands" (featuring longtime collaborator Guy Sebastian) and "Dots & Lines" steers Tetsuo & Youth into more soulful R&B territory. The former track features a piano melody that recalls the Roots more soul-oriented outings, while the latter features the gorgeous chorus "You look just like I'ma be / Sacred geometry." Tetsuo & Youth's best moments are when Lupe Fiasco is at his most ambitious. In the track "Prisoner 1 & 2", Fiasco splits the song into two distinct narratives. The subject of the first narrative details a nightmarish existence in a cell where "your life is just a number and release date". The subject at the second narrative is told through the eyes of a corrections officer. "You a prisoner too, you living here too / You just like us 'til your shift get through." In lesser hands the "you're just as much as a prisoner as we are" storyline would have been as cliched as a rehashed plot line from The Wire, but Lupe Fiasco's wordplay expertly controls all the moving pieces in the track. The only time Fiasco's ambition veers Tetsuo & Youth off track is "Chopper". Plagued by too many guests and way too much repetition (I lost count how many times "background check for a chopper" was uttered), its near ten-minute length lacked the focus of his other epic tracks. Thankfully, the far more urgent and concise "Deliver" regains the album's momentum. With a running time at almost 80 minutes, it's easy for a listener to sometimes lost focus on Tetsuo & Youth. At the end of the album, it's more than clear that third, fourth, and fifth listens are demanded to appreciate its scope. In ten months, Tetsuo & Youth may find itself getting lost in the "great albums of 2015" discussion, hip-hop or otherwise. On the other hand, it just make take that long for all of its rewards to finally reveal themselves.